Now that we’re seeing full series’ box sets of Doctor Who being released on Blu-ray, it’s probably safe to say that we are having a complete re-release of all the available back-catalogue. 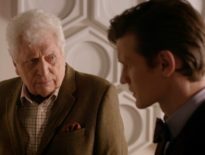 Blu-ray is now Doctor Who’s fourth format – yes, four; I bet you forgot laserdisc – although, I’m not counting streaming, downloads or 8mm reels of the Peter Cushing Dalek films. Oh, and video-tape formats count as one because they are all… well… video-tape. Blu-ray, as we all know, provides loads of room for higher bit-rates, for better picture quality, and plenty of extras and documentaries. However, having grown up with the format, I’ve still got a fondness for VHS. Certainly, VHS’s picture quality was a bit grainy, but I maintain that the old CRT televisions we viewed them on played that down; those older TVs were far more forgiving than the modern gigantic flat screens. Yes, the cassettes were a bit bulky and the tape a bit fragile, but this was the first media that opened the door to lots of vintage television releases. I got to see Doomwatch, Adam Adamant Lives, The Goodies, Quatermass and the Pit, UFO, Captain Scarlet, and, most importantly, older Doctor Who. 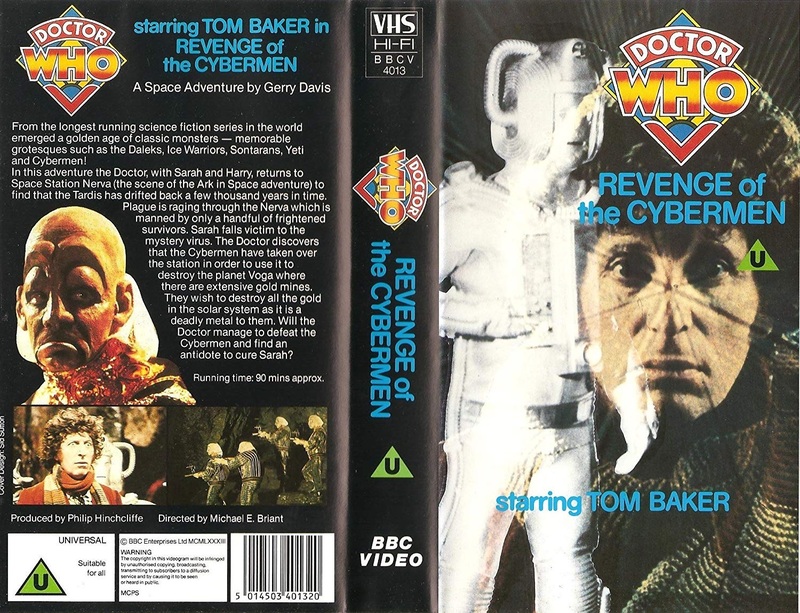 All this puts me in mind of my very first VHS tape purchase in 1984: the BBC Video release of Doctor Who: Revenge of the Cybermen. This came out at a time when, for the average Doctor Who fan, there were no other (legitimate) Doctor Who videos available; no internet; fandom updates were via a DWAS monthly postal newsletter (or well-connected fanzines); and the only source of archive information was the then-Doctor Who Monthly. BBC Video releases started in the early 1980s, which coincided with the increasing uptake in home video players, but the original releases were non-drama because no agreement had been made with the actors’ union, Equity. 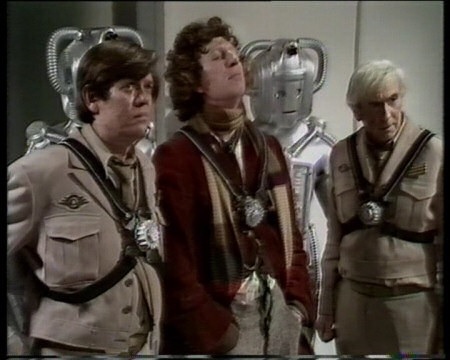 In 1983, the first tranche of drama releases included Revenge of the Cybermen’s first video incarnation. Rather astonishingly, and something that was largely commented on at the time, the first version’s cover featured the Earthshock Cybermen and the JN-T era titles’ star background. Its massive price-tag of £40 (around £120 nowadays) meant there was no way I could afford it as I wasn’t yet working. However, someone at BBC Video saw sense and it was re-released in 1984, with the correct Cybermen on the cover, a smaller storage-box, and a cheaper price of £20. Still quite expensive, considering today’s corresponding value was what I paid for the complete Season 14 Blu-ray box-set. Of course, the re-release was when I caved in and bought one. However, all I could do at that time was to look longingly at the cover because – and you’ve guessed it – my family didn’t have a video cassette recorder (VCR): they were still a very expensive and much wished-for item. However, I scrimped and saved and, in late 1984, I had enough money to buy one of the cheapest VCRs at the time: a Fisher top loader. I say cheap, but it was still the equivalent of over £1000, in today’s value. I was all set to play my tape. Just one further barrier to negotiate: the Fisher was coupled with the colour television in the living room and my dad, who controlled the television viewing, always wanted to watch something else! There was a precedent: I’d never really got over Dad making me watch Meglos on the portable black and white telly, because he’d wanted to watch Buck Rogers in the 25th Century. Thankfully, I didn’t have to wait that long as in the small hours of the following Saturday night/ Sunday morning, my parents had gone to bed and I had the television and VCR all to myself. I placed an armchair directly in front of the television, put my Revenge of the Cybermen video tape into the VCR, heaved down the lid, and pressed play. Bear in mind that having a VCR was a colossal novelty. 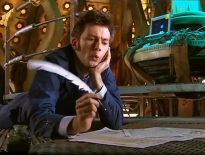 It was the first time I had the ability to watch non-broadcast television and here was I watching Doctor Who when the television stations had closed-down for the night! This was TV Heaven. Honestly, it really didn’t matter which story this was, or that the episodes had been edited together to make one long film. I didn’t care that the picture quality was a little grainier than broadcast TV (I thought it added a bit of atmosphere). I was also willing to overlook that the dead-bodies were obviously show-room dummies. As far as I was concerned, it was vintage Doctor Who that I owned. From the moment the opening quaint-but-cheap-as-chips BBC Video ident played, to the moment that it signalled the end, I was captivated. That VCR also saved the day on another occasion. During late 1984, I started working in a large Oxford Street department store and had to work every other Saturday. If it were not for the top-loader, I would have missed every other episode of Colin Baker’s tenure. No iPlayer catch-up in those days. Of course, I recorded them all to keep. Didn’t we all? Revenge of the Cybermen was re-released on DVD in Summer 2010 following in the wake of many other Doctor Who DVD releases. It was packaged in a box-set with McCoy’s Silver Nemesis which I thought was a bit of a shame; I thought it gave the impression that Revenge wasn’t considered a strong enough release on its own. Or was that Silver Nemesis? 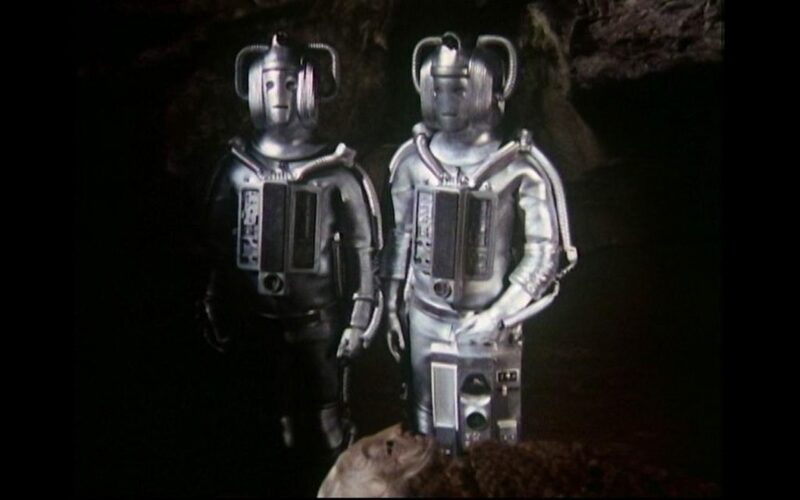 However, Revenge of the Cybermen has always been a bit special for me; this was the first television programme in a now quite sizeable television video/DVD/Blu-ray collection. That we have access to so much vintage television these days, we are all so blasé now.